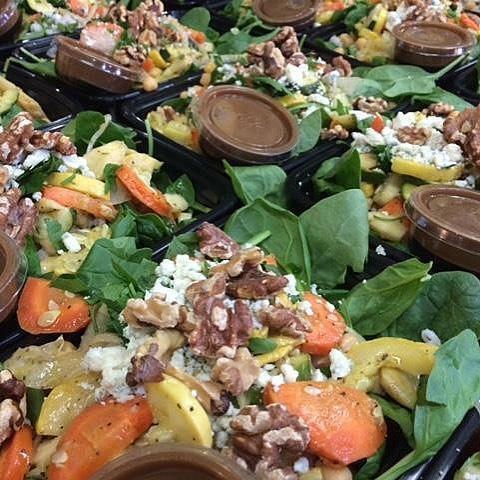 Our Modena GO Box is built on the bold flavors of Northern Italy: Roasted organic zucchini, carrot, and onion, tender pearled barley, toasted walnuts, organic chickpeas, and a balsamic vinaigrette over organic baby greens. Topped with blue cheese and parsley. So good you won't even notice the barley reducing your cholesterol.